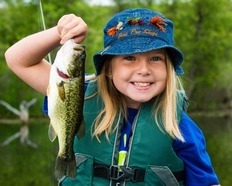 Make it a cinch for the outdoorswoman or outdoorsman in your life to get back to what they love — hunting and fishing — by getting them a 2018 permit. In addition to annual hunting and fishing permits, hunt/fish combo permits are available, as well as lifetime permits, for a truly special holiday gift. Learn more. You can find even more great holiday gift options at our website. And remember to shop for yourself, too — these gifts are one size fits all.